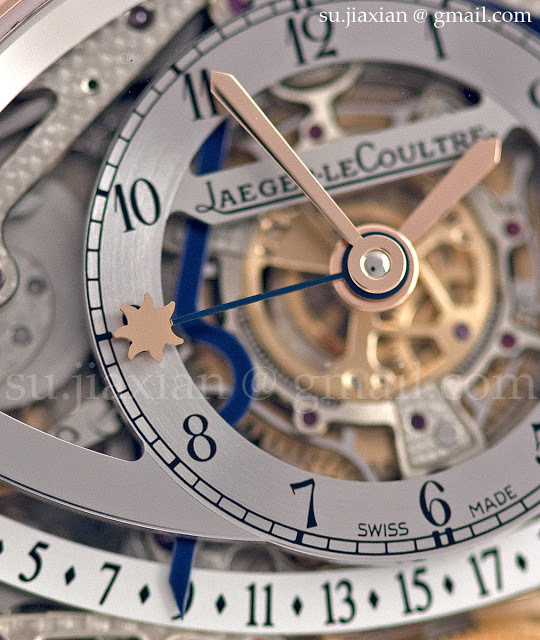 In 2004 Jaeger-LeCoultre launched the complication that arguably has defined JLC has a haute horlogerie house, the Gyrotourbillon, so named for its spherical tourbillon. 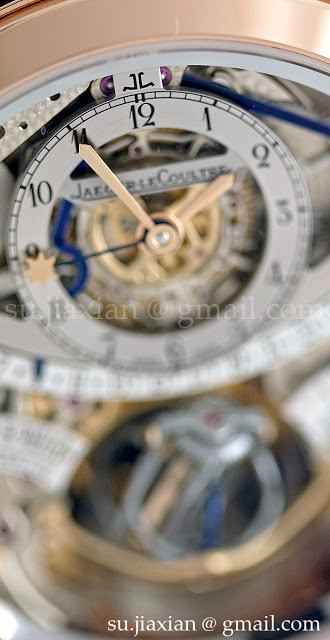 At the time of its launch it was a revelation; remember that the watch industry in 2004 was much less diverse than in 2011. 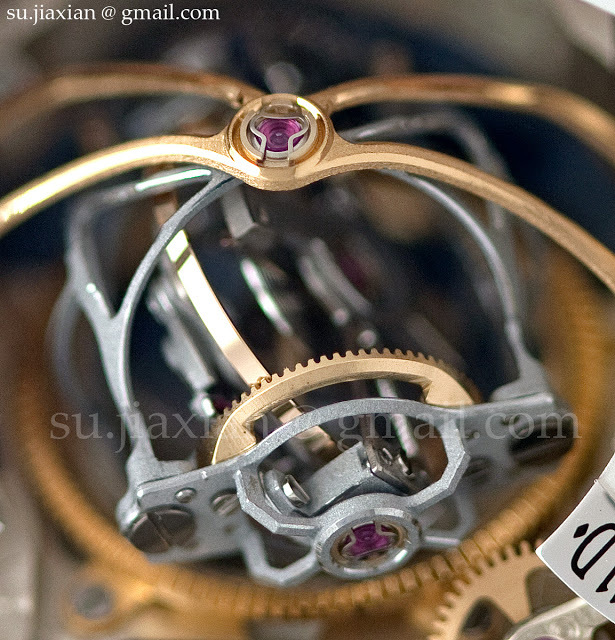 Along with the Franck Muller Tourbillon Revolution, the Gyro was a pioneering multi-axis tourbillon. 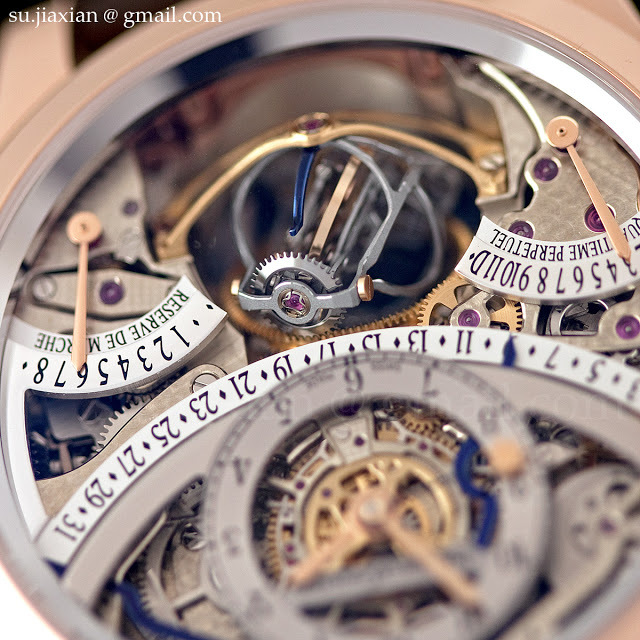 Originally unveiled in platinum, the JLC Gyrotourbillon 1 is now in its final run of 30 pieces cased in rose gold. 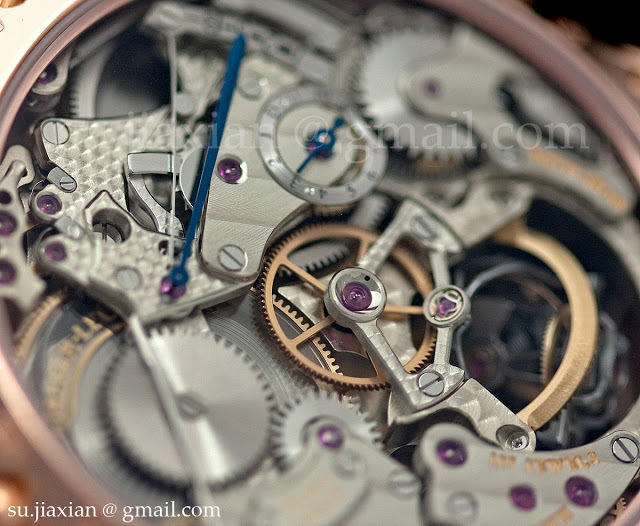 According to Jerome Lambert, CEO of JLC, the final production of the Gyrotourbillon 1 will be under 140 units including the original in platinum, the units part of the Hybris Mechanica set and the final run of 30 in rose gold. 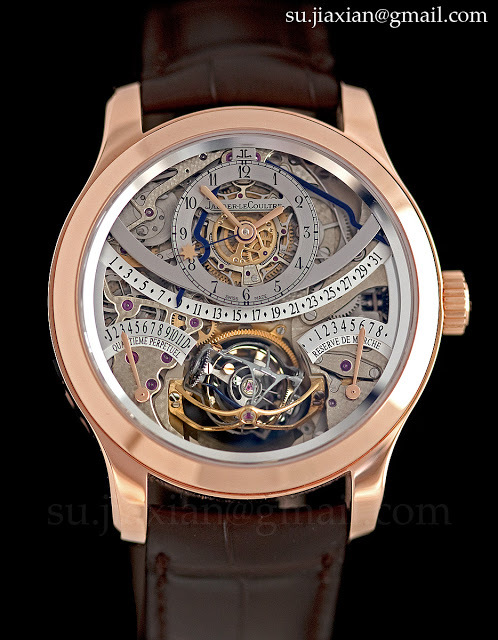 The Gyrotourbillon 1 contains the cal. 177 which features a bi-axial tourbillon, a retrograde perpetual calendar and an equation of time. 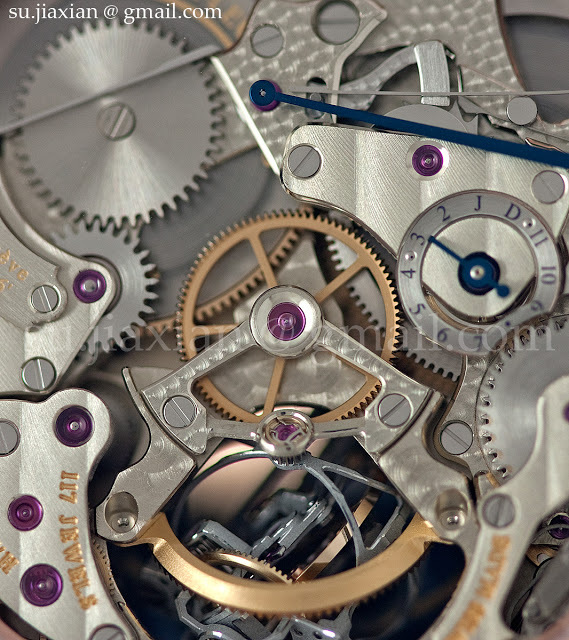 A pair of mainsprings inside a barrel with a sapphire top – allowing a good view of the large mainspring – gives the watch an eight day power reserve. 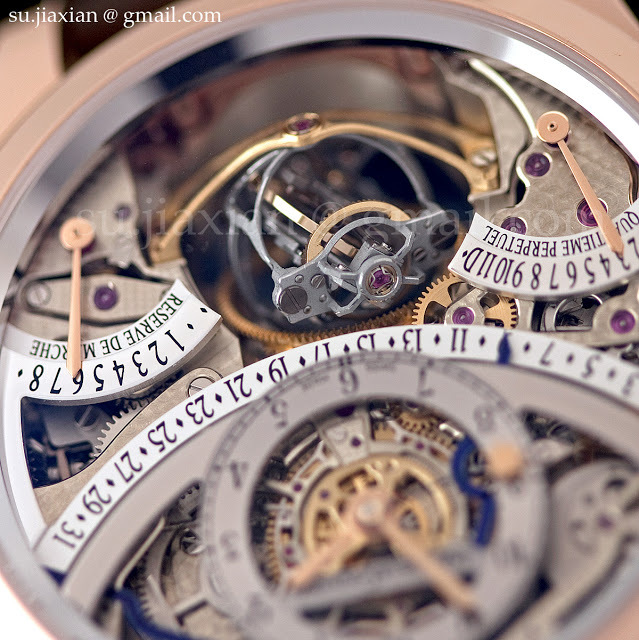 What is particularly notable is its performance on the secondary market. 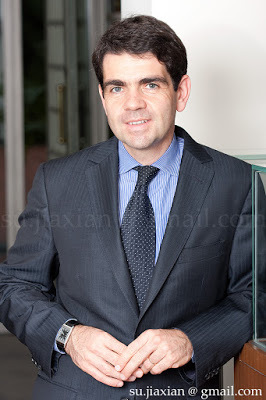 High complications from most brands tend to retain value badly. Often there is a direct correlation between the original list price and the proportional drop in secondary market value. 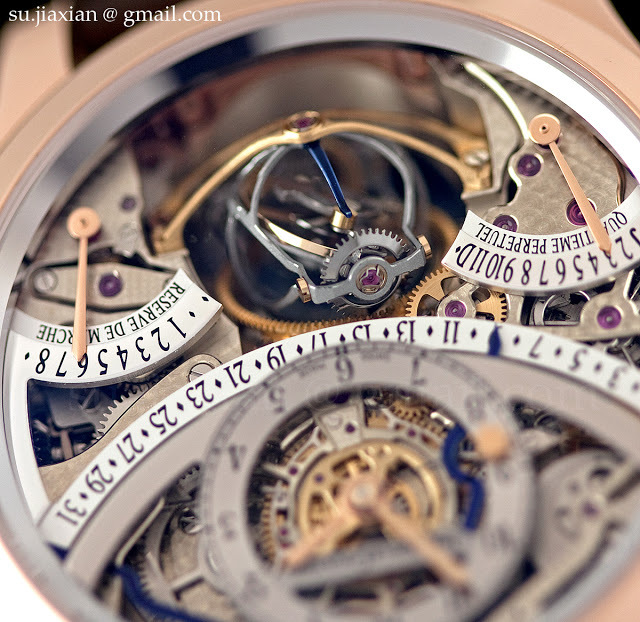 The Gyrotourbillon has bucked that trend, hammering on several occasions for approximately the original price or even higher. 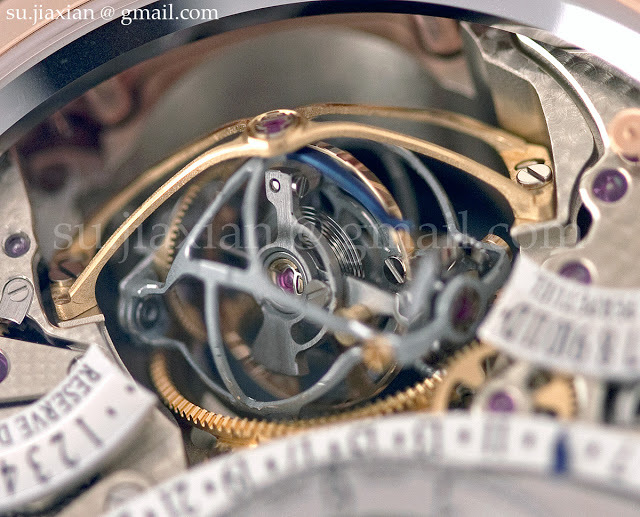 Antiquorum sold one last year for CHF342,000 and another in 2008 for a handsome CHF415,000. 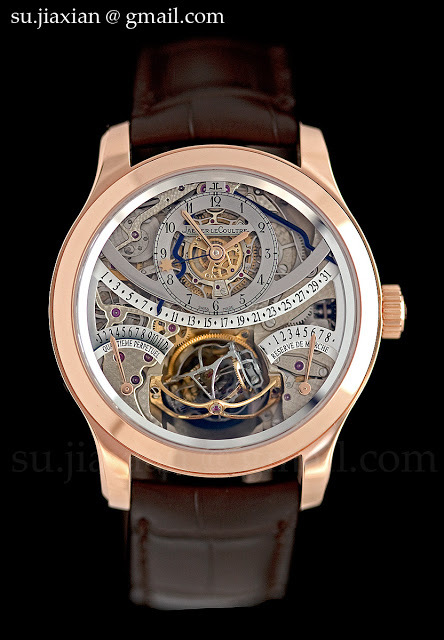 The same can be said of the Gyrotourbillon 2 at auction, though not of other JLC high complications. Perhaps a reason for this is the lack of alternatives. 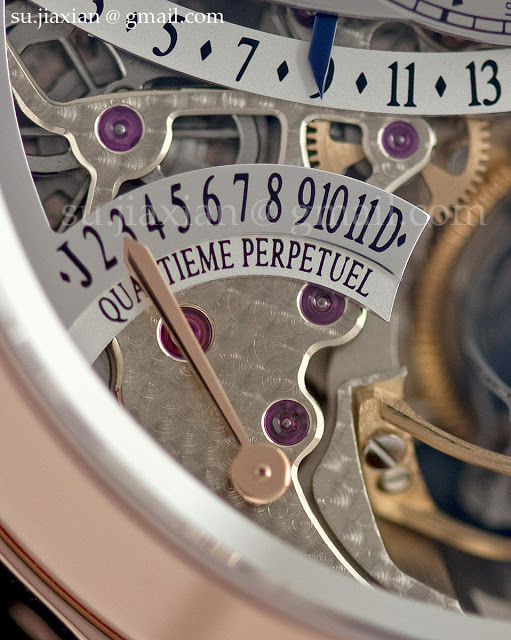 For a high-end multi-axis tourbillon, or exotic tourbillon, Greubel-Forsey is the only competitor, and it costs a lot more than the Gyrotourbillon. 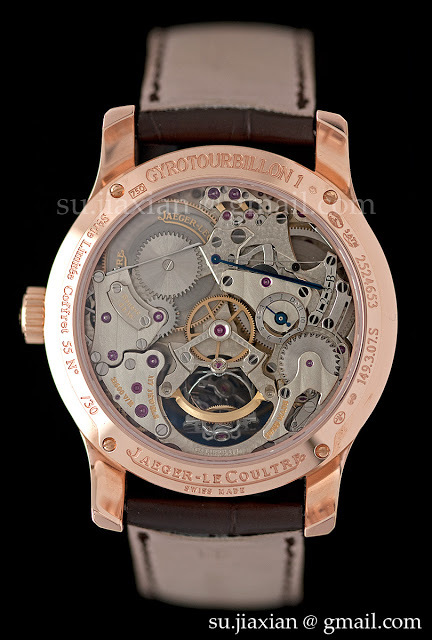 Mr Lambert was just in Singapore yesterday to present the 2011 collection as well as some of the brand’s grande complications, including the Gyrotourbillon 1. 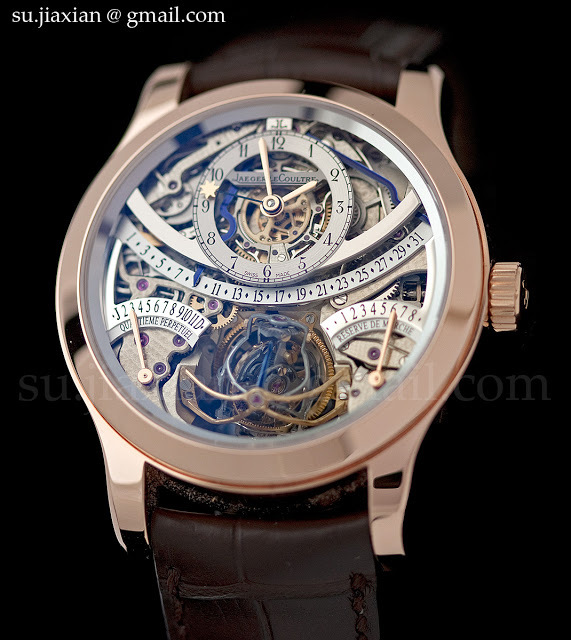 Photos of the other complications to come later, in the mean time enjoy the Gyrotourbillon 1. 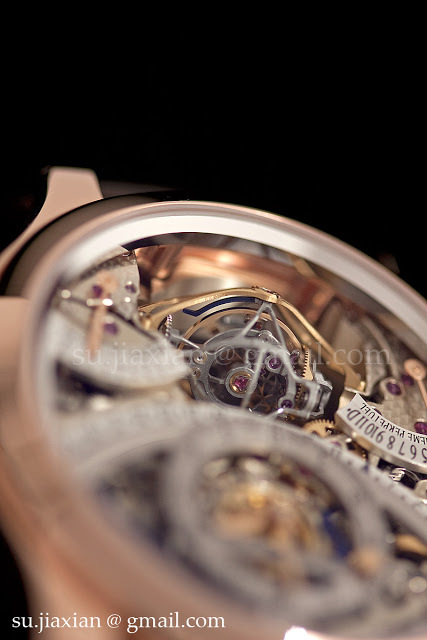 The Gyrotourbillon 1 in rose gold retails for US$381,000.